I went to meet the participants in the latest Naturalist Training Program (NTP) at JLR Bannerghatta. 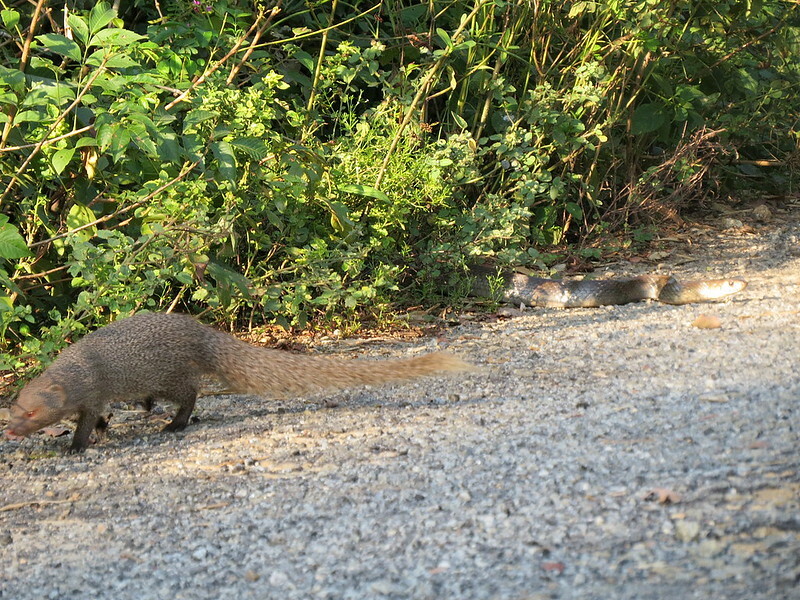 As I was returning to the bus terminus in the JLR vehicle, I noticed this mongoose on a side lane in the Herbivore Safari area. 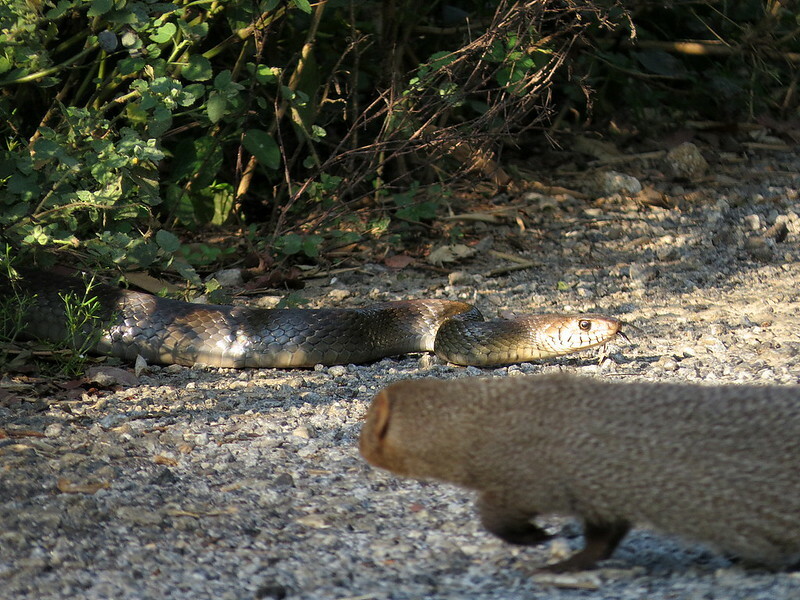 However, even as we watched, the mongoose suddenly decided that it didn’t want a confrontation. The two parted ways..amicably! 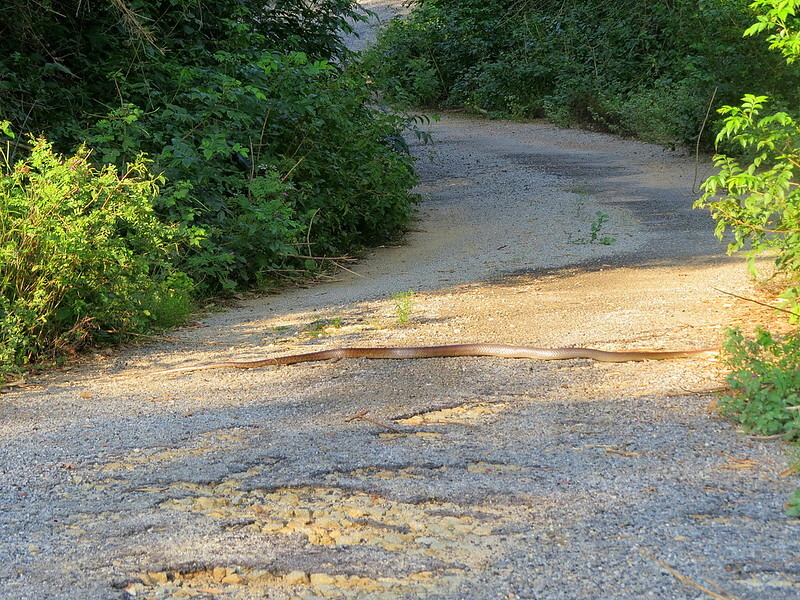 The rat snake then emerged on to the road. 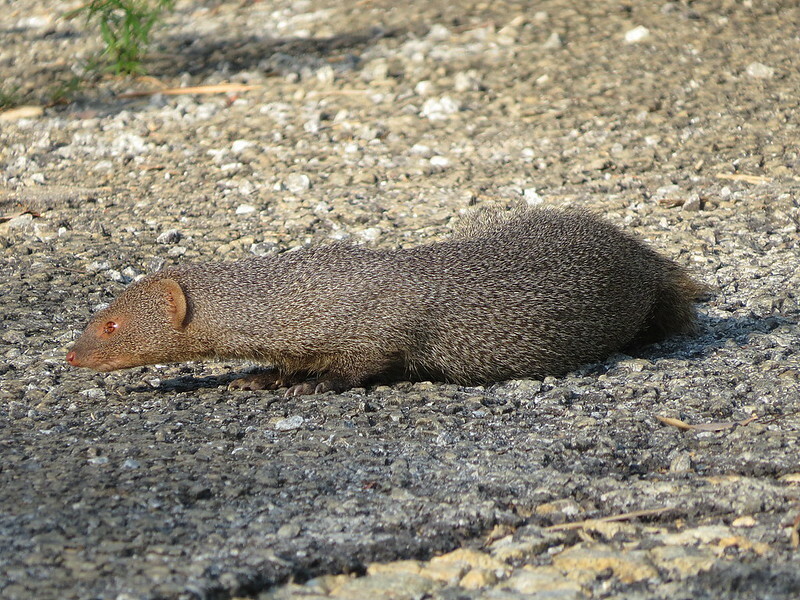 I felt that the very size of it, observed by the alert mongoose, might have given it pause and resulted in the decision of “ahimsa”! 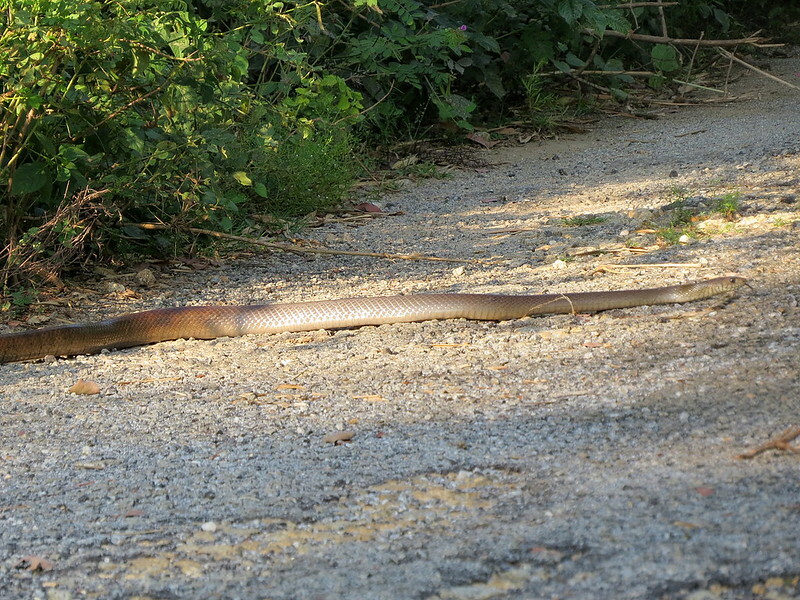 Unmolested, the snake crossed the path and went on its way. A thrilling almost-drama that was a drama in itself! 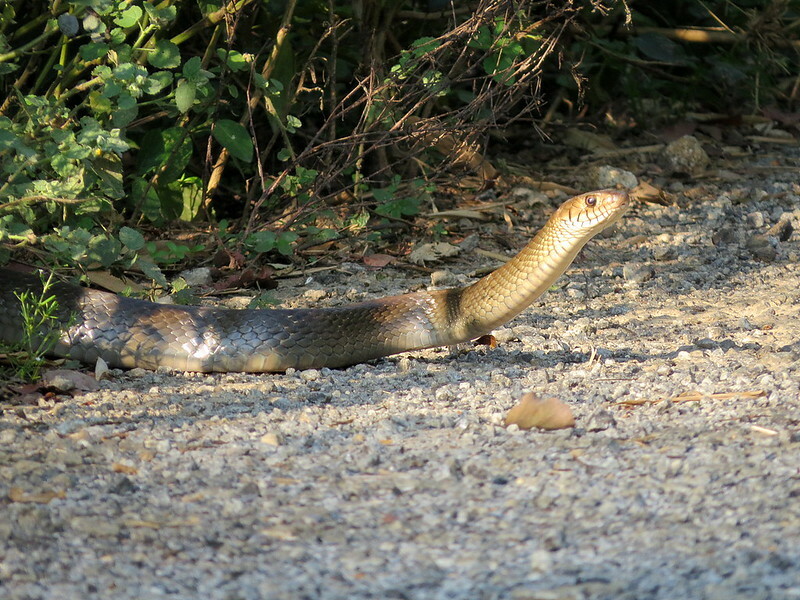 Truly, nature and wildlife spring surprises.